The "Magnetic Principle" : It uses same principle as the "Hamel Spinner". The destabilizing magnet on top is the "Hamel Spinner" and the first Cone that wobbles would equate to the smaller disc magnet and ball bearing. 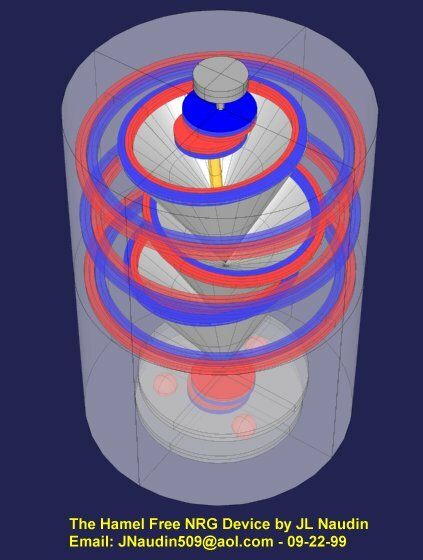 The Spinner wants to move in a circular path under the larger destabilizing magnet. That is in part why the cones Wobble. The cones want to seek equilibrium, but can only find it in a dymanic way ! 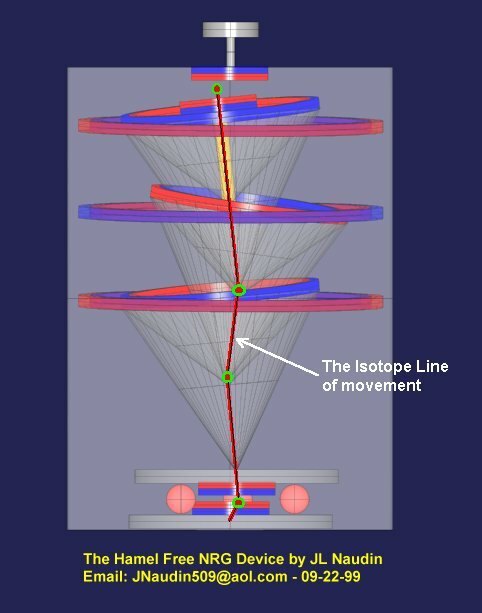 This "Magnetic principle" device will, if built right, run for many thousands of years ! This device is under construction, and NOT FULLY TESTED.